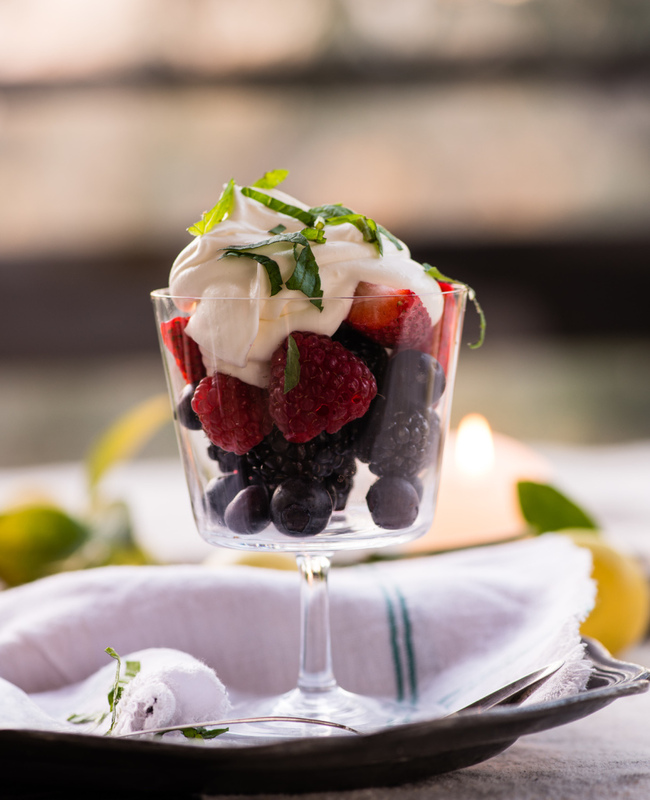 Berries with whipped cream is the perfect ending to any meal especially in the summer. Using an electric mixer, beat the cream, Lillet, and sugar in a medium bowl until soft peaks form (do not overbeat or the cream will curdle). Divide the berries between 2 bowls. Spoon the Lillet-spiked whipped cream over the berries in each bowl and serve.